Nonsteroidal anti-inflammatory drugs (NSAIDs) are used to reduce inflammation, pain and fever. But how do they reduce pain? In order to understand the answer to this question, you must first learn about the function of prostaglandins. Prostaglandins are chemicals, produced by our body and, among other functions, they promote inflammation, pain and fever. The NSAIDs directly block the source of their origin, in order to reduce inflammations, pain and fever. But, since one of the functions of prostaglandins is to protect the stomach from the damaging effects of acid, NSAIDs can cause ulcers in the stomach and promote bleeding. NSAIDs are mainly used to treat inflammation, fever and mild to moderate pain. They can also be used to treat headaches, arthritis, sport injuries, menstrual cramps, and even for the prevention of strokes and heart attacks. NSAIDs differ in various aspects. Their potency, duration and the way they influence the very source of an inflammation, pain or fever, determine the tendency to cause ulcers and promote bleeding. Certain NSAIDs block only one function of the prostaglandins, so their effect is selective. The most widely used NSAID is Aspirine, because of its many effects. Aspirine is great for the prevention of blood clots that cause strokes and heart attacks. While many other NSAIDs prevent blood clots for only a few hours, only Aspirin has a prolonged effect (4-7 days). It is important to note that if an individual does not respond to one NSAID, it does not mean that he or she will not respond to another. If you are allergic to one NSAID, you will probably experience the same reaction to another one. You can even develop a shortness of breath when taking NSAIDs. The use of Aspirin in children and teenagers may lead to the development of Reye’s syndrome. The most common side effects are nausea, vomiting, diarrhea, constipation, rush, dizziness and headaches. NSAIDs may raise the risk of stomach reactions or even heart attacks with the fatal outcome, as well as the stroke and other related conditions. 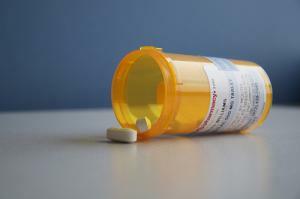 Other serious side effects are kidney and liver failure, ulcers and even extended bleeding after an injury or surgery. Heart Diseases Part XVI - Aspirin - Friend Or Foe? Which drug is stronger-Paracetamol or Aspirin?